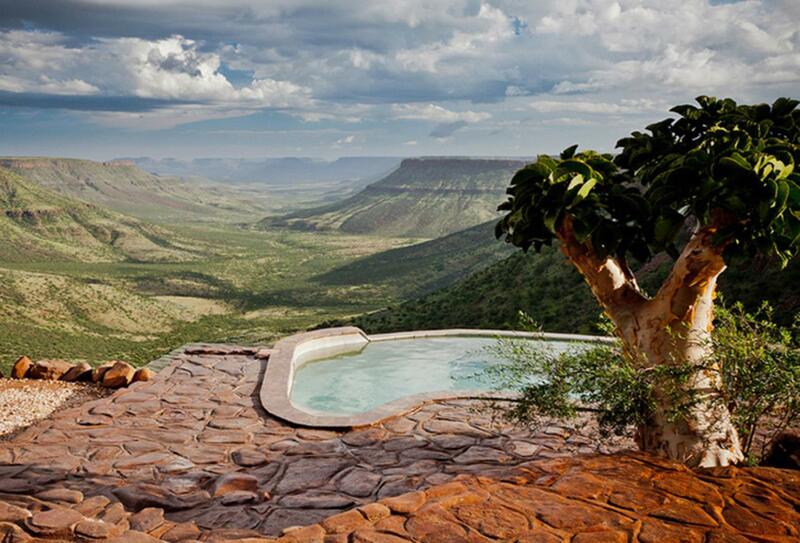 Grootberg Lodge is located in the area of Damaraland. 14 Twin and 2 family rock and thatch chalets gaze out over the Klip River Valley, where Black Eagles hunt just below your private deck. Two family units provide enough space for parents and two children to share comfortably. A range of massages and treatments are available to help you unwind at the end of the day.